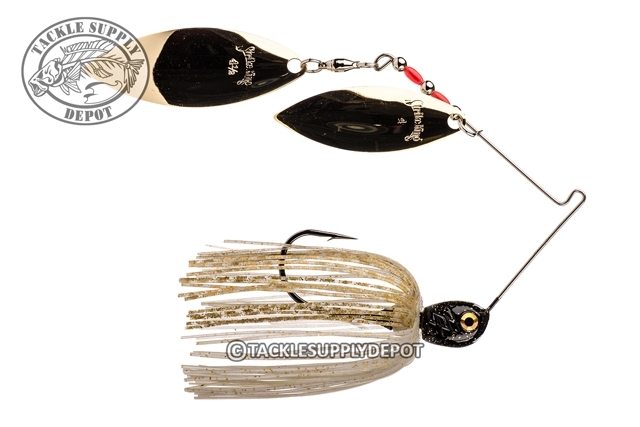 The Strike King Premier Pro-Model Spinnerbait features premium components. Includes 24K gold and/or nickel plated premium blades engraved with "Strike King". The blade size, perfect skirt, premier Vibra-Max wire provide maximum blade vibration. Strike King uses a superior quality Spin-Eze ball bearing swivel. The Mirage painted Diamond Dust head with Diamond eye, and Mustad double hardened premium black nickel chemically sharpened hook will draw and hook more fish.